Fundamental to creating shared value is defining a common purpose and addressing complex issues of mutual benefit through stakeholder engagement. Barloworld's sustainability and longevity over time has long been steeped in the practice of engagement and relationship building as part of management activity, supported by a group stakeholder engagement policy and operational guidelines. This approach ensures that our key stakeholders' concerns and aspirations are understood and considered across all our business units and operating locations. To achieve this, stakeholder mapping is done at corporate and business unit level as a first step to appropriately respond to and validate Barloworld's understanding of stakeholders' material issues. While stakeholder engagement takes place at group, corporate and divisional levels, with a particular focus on engaging stakeholders that have the greatest impact on our various business activities, a group policy with operational guidelines and a reporting framework is in place. This approach helps identify important commercial and relationship issues and the formulation of workable solutions which are often industry specific. The internal audit function reviews compliance with group policy and guidelines, and adherence to the recommendations of King IV across the entire company functions and divisions. Enhancing the success of our customers and suppliers, and reducing the depletion of natural resources is vital to our business as well as the economic and social distress of the communities in which we operate are key influences on our long-term success. In our engagements with stakeholders, shared value prompts us to think differently about our approach to social and environmental issues. The result is a strategy focused on developing the future market while also strengthening economies, the marketplace, communities, and corporate success. Dialogue with stakeholders assists the group to meet the needs of society, such as the provision of products with lower environmental impacts, for instance, to gain operating efficiencies and to anticipate risks and opportunities in the broader environment. The group appreciates the role of digital media platforms in stakeholder engagement and strives to implement structures and systems, as well as allocate resources, in a way that uses the medium to the group and its customers' advantage. The group's stakeholder policy is available at www.barloworld.com. The identification and selection of stakeholders is in line with the group's shared value creation philosophy and approach. A core group of stakeholders incorporates employees, shareholders, customers, licensees, suppliers, principals, public sector, organised business, trade unions, the media and the communities in which business is conducted, in the context of broader society and the natural environment. However, in the course of doing business, Barloworld engages a wider range of stakeholders. Those who have different interests in the group, whose activities can affect the group, and those which the group's activities will affect are prioritised. 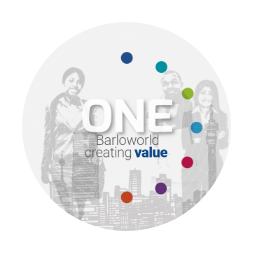 Barloworld recognises that an important component of its value-creation offering is based on inclusive stakeholder relationships and focused engagement. The intelligence gleaned in engagements is essential to ensuring that the group can better understand and respond to stakeholder needs and expectations, and strengthen its most important relationships. Stakeholders in turn are empowered through their inclusion in the company's processes and derive benefit from having their concerns addressed. Stakeholders are identified through a range of channels in the course of doing business and as business leadership in society; sometimes stakeholders come forward and identify themselves. Barloworld's relationships with customers are critical. The nature of the integrated solutions, centred on its products and services, offered by group companies involves the company's alignment with its customers' strategic business objectives and building sound, long term partnerships. Therefore the group has comprehensive engagement processes in place across all divisions. By engaging, listening to and aligning with its customers' needs and objectives, the group can quickly determine material issues and respond appropriately. Numerous individual and collective customer engagement interventions took place during the year focused on sustainable relationships and mutual benefit. All divisions appreciate the importance of these interactions and conduct appropriate interventions. These include implementation of key customer strategies, service level agreements and customer relationship management programmes, open days, focused surveys, daily contact to evaluate service levels, invitations to give feedback and suggestions, and regular visits by senior executives. As a distributor of leading international brands, Barloworld represents a significant number of high-profile global principals. Distribution agreements, long-term relationships, structured meetings, reporting and performance reviews, and ongoing informal communication ensure frequent contact with principals. Our people also attend principals' conferences where strategic issues, including product launches, are shared. Participants have an opportunity to engage with principals and raise concerns, make suggestions and participate in related workshops and discussions. Ongoing principal interactions cover product issues, market positioning, financial performance, customer satisfaction, sustainability matters, territory issues, market information, and the relationship in general. Mutual benefit, trust and transparency underpin the success of these relationships. A range of other suppliers including major contractors, long-term and ad hoc suppliers are engaged as appropriate. Local/small/black supplier development and outsourcing initiatives are also undertaken. Employees are the focus of numerous and detailed engagement processes. These are formal and informal, structured and ad hoc, individual and collective. Employee interaction is key to ensuring that the workplace supports productivity, employee contentment and allows them to further their personal and professional ambitions. Meeting with employee representatives (including trade unions) in terms of recognition or industry agreements for collective bargaining, organisational restructuring and other specified matters. We routinely engage government institutions and departments, municipal authorities, organised business and industry organisations and non-government organisations. We also engage with the applicants and beneficiaries of our corporate social investment, supplier diversity and enterprise development initiatives, other development practitioners/ organisations and funders. Barloworld regards the media as an important stakeholder and we are committed to accessible, open and transparent engagements. A wide range of initiatives includes statutory disclosures, integrated reporting, advertising, ad hoc announcements, editorial comment and publications, formal and informal meetings and briefings. Engagement in this regard is confined to internal stakeholders and with the group's external auditors. The process for conceiving and compiling the report is an extensive one and involves a number of role-players across the organisation. Decisions regarding content, which includes materiality of issues to be reported, presentation and design, and appropriate communication media are taken by senior personnel in the group's strategy and communications departments and signed off by the executive committee, board sub-committees, including the audit committee, and the board. Through our various stakeholder engagement, risk and opportunity review processes, we arrive at a set of material issues which we use to refine our strategy and define report content. These issues are reflected in the table below. Many of the issues raised by key stakeholder groups are dealt with as part of the engagements that take place during the year. Given that customers are a key group, and that the business relies solely on their loyalty, issues and concerns raised by customers are prioritised. Engagement strategies are essentially individually focused and service oriented. Issues raised by employees and investors, principals and other service providers, are also addressed as quickly as possible during the year. Again, given the nature of Barloworld's activities, geographic spread and range of principals, these are usually of an individual and specific nature, rather than collective and broad-based. In annual reporting, these issues are categorised and disclosed with a 12 month perspective focusing on themes rather than the individual issues.